First off, thanks to all those who have bought my first book, my new book, or both! I truly believe that they were inspired and written by the Holy Spirit. I simply put the words on paper. I believe that my books are meant to be the WAKE-UP CALL that the Church today desperately needs. I pull no punches on the “controversial topics” of our day, laying out what the Holy Bible says about things. Too many so-called pastors today dont have the backbone to preach the truth, so I figured that it was up to me to tell it like God says it is in a world gone mad. If you want to read the whole chapters, you gotta go grab the book on Amazon, Barnes & Noble, and other online book retailers. Also, please take the time to leave a review online wherever you purchased it! Doing so helps keep the book ranked high enough to be visible to likeminded believers searching for Biblical truth in a world full of Satan’s lies . Finally, the Audiobook for “EVEN MORE Signs” is arriving right around Passover and Easter! Stay tuned to Biblical Signs ITH Social Media accounts for the official release date announcement . 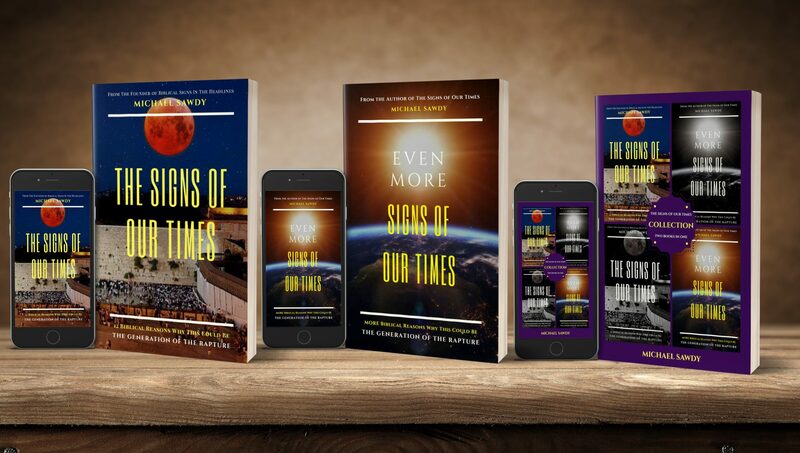 In the meantime, go grab “The Signs of Our Times” Audiobook for FREE with an Audible trial HERE . Thanks for all of the support and interest in my books. It has been a labour of love! God bless y’all .